"God is love. I have loved. Therefore, I will go to heaven." - to Pope Paul VI, who responded, "Oh, how wonderful, how childlike." 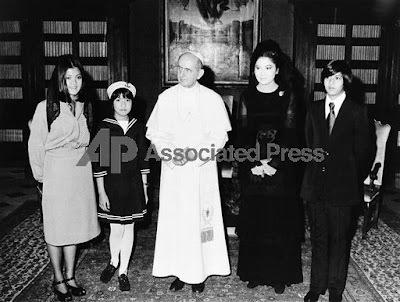 In photo above (l-r) Imee, Irene, Paul VI, Imelda, and Bongbong.